Nothing says summer like a peach cobbler. Serve yours up in liquid form with a little kick. Bake pie crust (homemade or store bought) at 425°F for 10-12 minutes. Cool and then crumble. 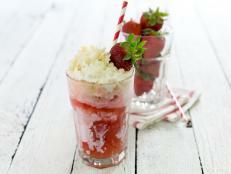 Add ice cream to the bottom of a large float glass (Choose one that holds 12 to 16 ounces.) 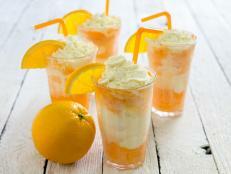 Add peach schnapps and then slowly pour the cream soda over the ice cream to fill the glass. Top with whipped cream and a fresh peach slice. Garnish with pie crust crumble and a sprinkling of ground cinnamon. Serve immediately. 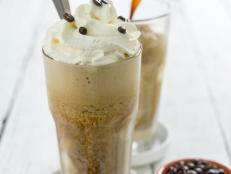 Meet the black Russian: This decadent dessert float brings together all that is good about coffee, cocktails and ice cream. Key lime pie is good. 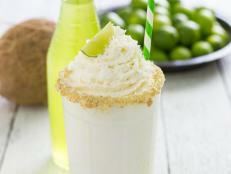 Key lime pie with rum and ice cream that you can sip on the patio? Now, that’s a completely different, delicious story. Strawberry shortcake never had it so good. 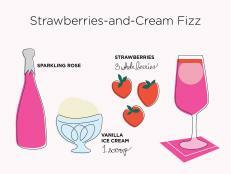 Strawberries, cream and a little boozy boost make this the perfect summer sip. This boozy treat is tart, sweet, and creamy at once. What's better than a cola float? 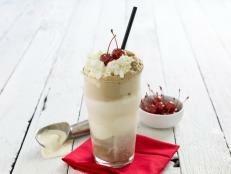 A cherry-flavored boozy float with rum, of course! 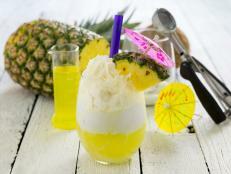 Sip your way to happiness with this smooth take on a summer classic. 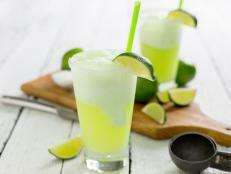 It is all the sweet, salty, tart goodness of a margarita with a creamy twist. The Amalfi Coast is calling. 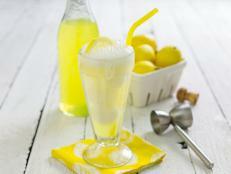 Drink in summer with this creamy, fizzy, lemon concoction. You can almost feel the island breezes with this summer staple. 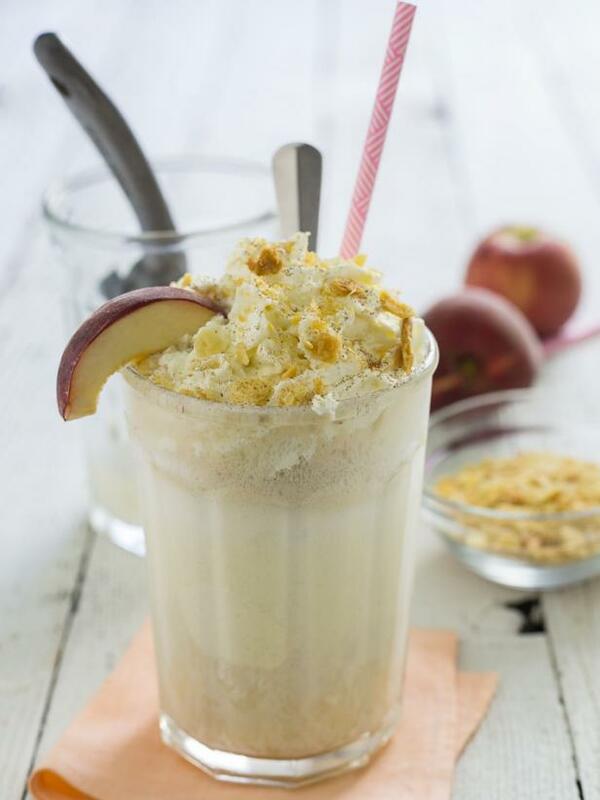 Make it a sweet deal with the addition of ice cream and a little sparkle. 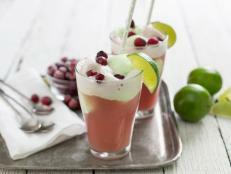 Bring the sparkle back to brunch with these fizzy cocktails that feature just a few ingredients.